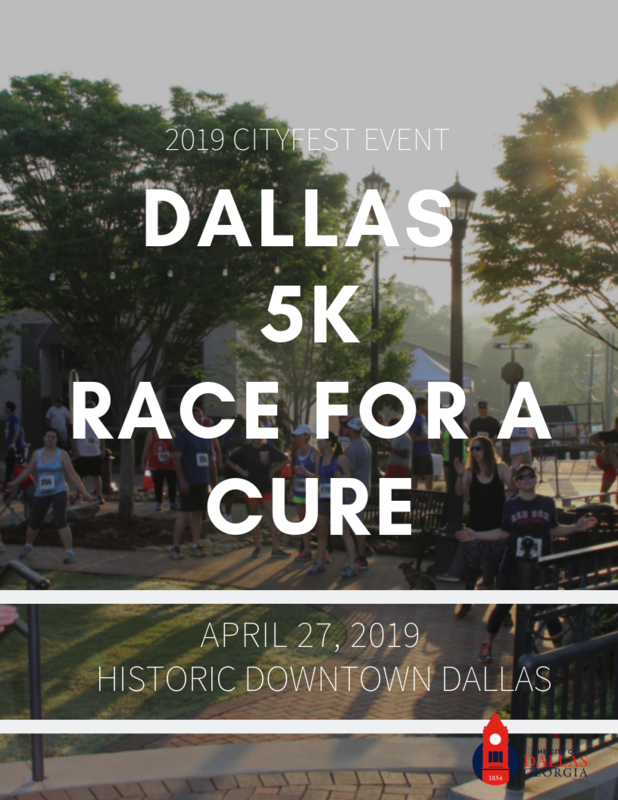 JOIN US for our 8th Annual "Dallas 5K Race for a Cure" on Saturday, April 27th @ 8:00am. All proceeds go to Paulding County, Relay for Life and The American Cancer Society. Children 10 & under are welcome to run the race for free, however they will not receive a race bib, goodie bag or race shirt unless they are registered. Early Registration and bag pick up will be at Academy Sports in Hiram on Friday, April 26th from 5-8pm and @ 6:45am on race day. Each participant will receive a goodie bag containing a race day shirt. 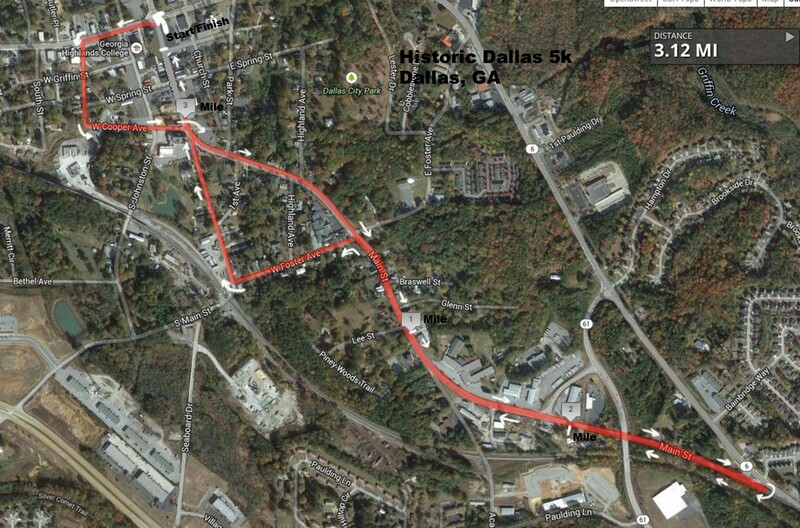 Water and snacks will be provided the morning of the race. Goodie bags will be available for pickup at Academy Sports in Hiram Friday, April 26th from 4-8pm and at 6:45am on the morning of the race. Please make sure you have registration & packet pick-up completed by 7:30am. Participants registered by April 15th will be guaranteed a t-shirt. 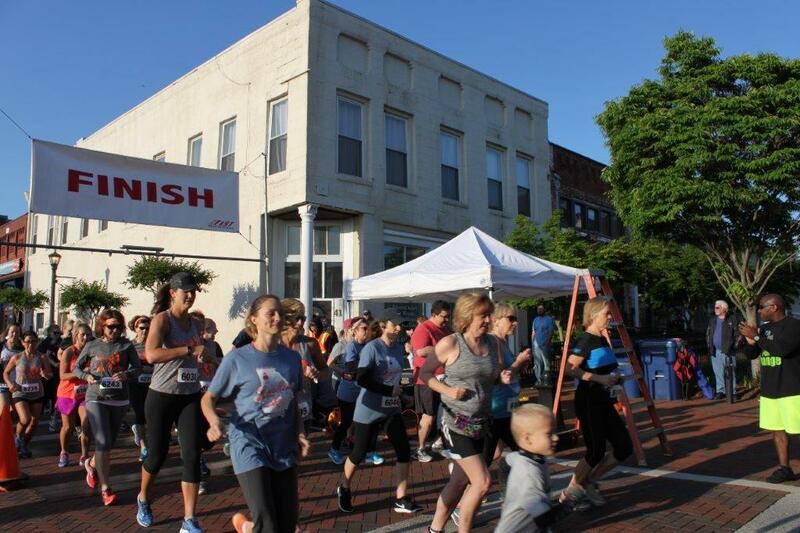 Racers registered after April 15th and on race day will receive t-shirts as supplies last. 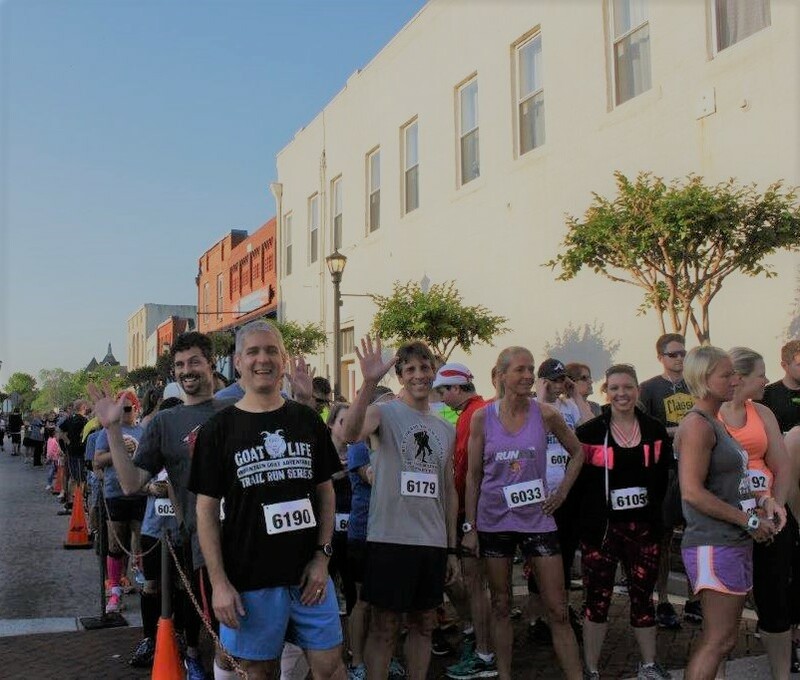 Overall Male/Female, Overall Masters Male/Female, Age Groups:10 and Under, 11-14, 15-19, 20-24, 25-29, 30-34, 35-39, 40-44, 45-49, 50-54, 55-59, 60-64, 66-70 and 70+.